On 23 June 2005 the Australian White Ensign was hauled down for the last time in the Fremantle class patrol boat (FCPB) HMAS Cessnock, heralding the first tangible sign of the end of an era. The following day marked the beginning of an exciting new chapter for the Royal Australian Navy's (RAN) Patrol Boat Force Element Group with the commissioning of HMAS Armidale, the first of the new generation of patrol boats. It is thus timely to reflect on the achievements of the Fremantle class and the contribution patrol boat men and women have been making to the Navy and the nation. 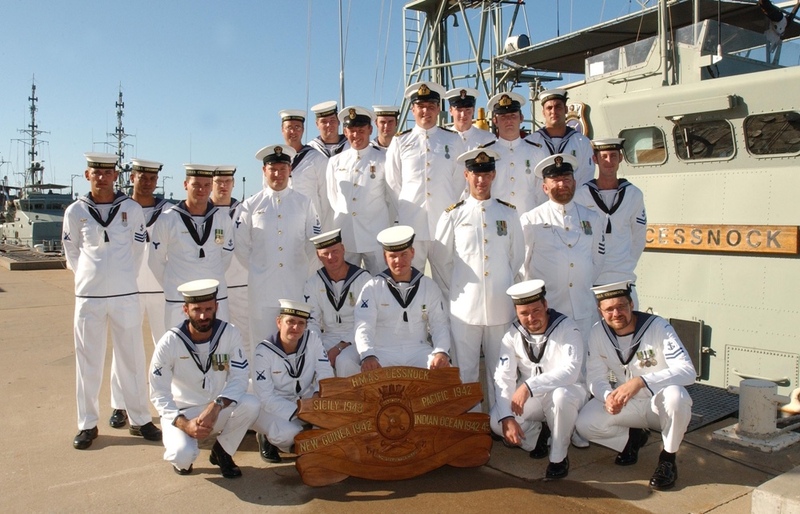 Decomissioning crew of HMAS Cessnock (II). Planning for the introduction of the Fremantles can be traced back to 1970. 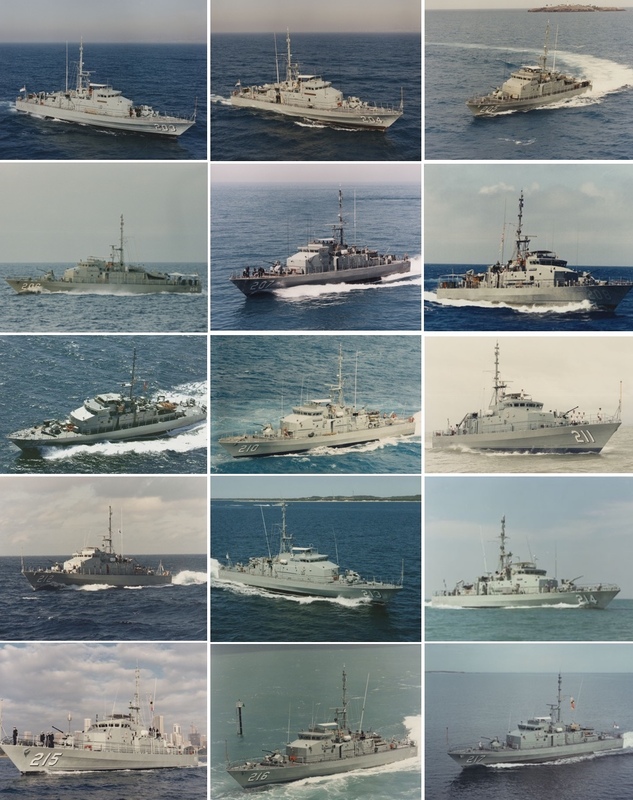 Operational experience with the 20 Attack class patrol boats (146 tonne), which had entered service between 1967 and 1969, highlighted a number of areas for improvement in a future class of patrol boat. In September 1970 the Navy proposed the construction of ten additional patrol boats, to enter service between 1976 and 1980, that would augment the Attack class patrol boat fleet and replace two General Purpose Vessels. Important operational considerations for the new boats were improved seakeeping and updated equipment and weapons fit. Recognising the increasing responsibility for Australia to protect its maritime approaches, this plan called for a projected patrol boat fleet of 30 vessels: 16 operated by the RAN, four by the Royal Australian Naval Reserve (RANR), and ten by Papua New Guinea. The acquisition of replacement patrol craft was announced in April 1975. The eleven shipbuilders invited to submit tenders were shortlisted to two in 1976: Brooke Marine of the United Kingdom with the PCF 420 design; and Lürssen Werft of West Germany with the FPB 45 design. On 22 September 1977 the then Minister for Defence, the Hon James Killen MP, advised Parliament that the PCF 420 design had been selected and that 15 patrol boats would be built at a cost of A$115m. It was decided that Brooke Marine would build the lead ship in Lowestoft, United Kingdom, and that North Queensland Engineers and Agents (NQEA) would build the majority of the boats in Australia. Plans to acquire five additional patrol boats were deferred indefinitely in 1982. With a length of 42 metres and displacing 220 tonnes, the FCPBs would be 28% longer and 50% heavier than the Attack class. It was recognised early on that the existing bases in Cairns and Darwin were incapable of supporting the new boats. Therefore naval infrastructure in both ports was upgraded to provide new dedicated patrol boat bases incorporating modern maintenance, logistic and administrative facilities to cater for the larger craft. Left: HMAS Fremantle prior to launching, 16 February 1979. Right: Naming ceremong of HMAS Fremantle, 8 October 1979. Construction of the first of class, HMAS Fremantle, began in October 1977 and she was launched in blizzard like conditions on 16 February 1979. The commissioning of Fremantle was delayed until 17 March 1980 when contractor trials revealed that she was some 20 tonnes overweight. However, the ship more than proved her worth after she was detached from the contractor's trials program to rescue a British seaman thrown from his fishing trawler after a collision with an oil tender. Fremantle sailed from Lowestoft on 7 June 1980 on the commencement of the long delivery voyage to Australia. She arrived in her home port of Sydney on 27 August 1980 after a voyage of 82 days, 48 at sea, and having steamed 14,509 nautical miles. A large crowd gathered at the North Queensland Engineers and Agents shipyard to witness the launching of HMAS Warrnambool. The first of the Australian built boats was HMAS Warrnambool. The keel was laid in September 1978; she was launched on 25 October 1980 and commissioned on 14 March 1981. NQEA delivered three boats in each of 1981 and 1982, and four in each of 1983 and 1984. HMAS Bunbury, the fifteenth and final vessel, entered RAN service in December 1984. By the time all 15 boats were in service, four each were based in Cairns, Darwin and Sydney; two in HMAS Stirling, Western Australia and one in HMAS Cerberus, Victoria. 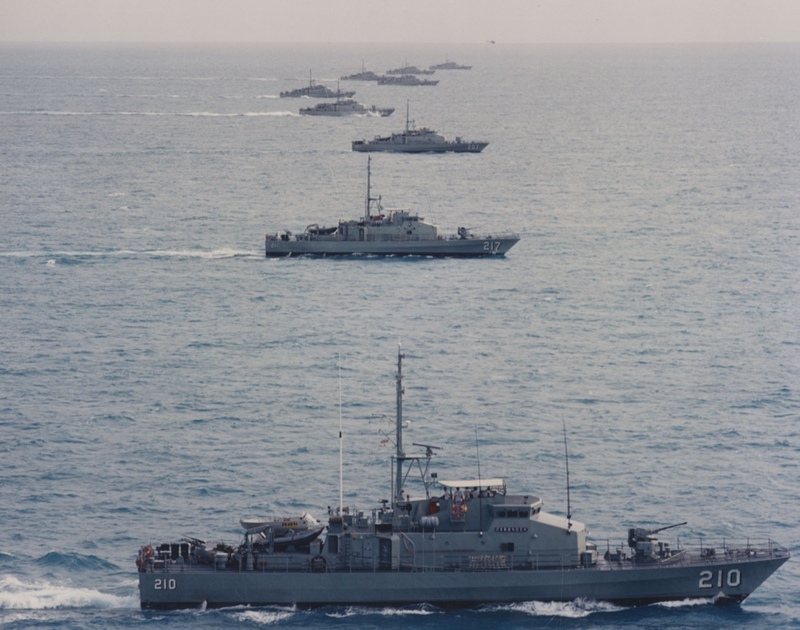 The Attack class patrol boats still in service were transferred to Indonesia and the RANR. 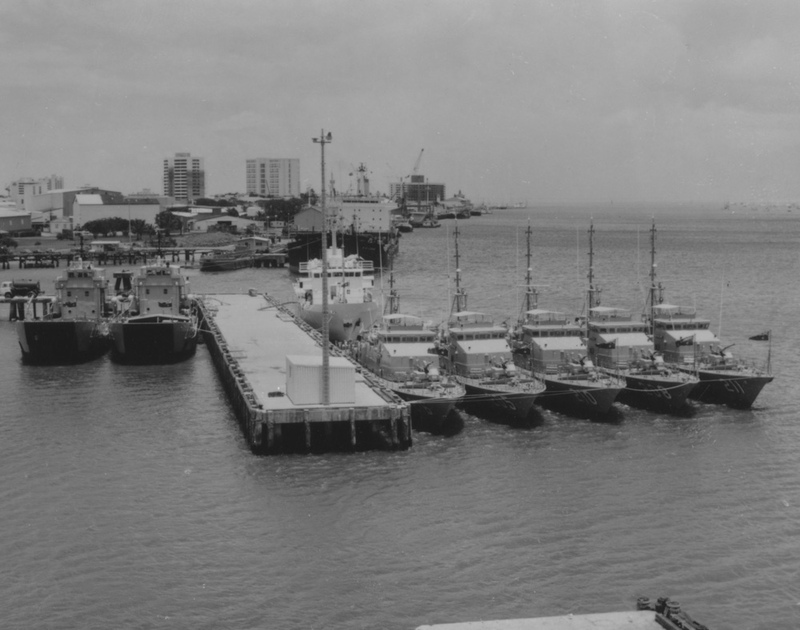 Five Fremantle class patrol boats alongside Cairns. 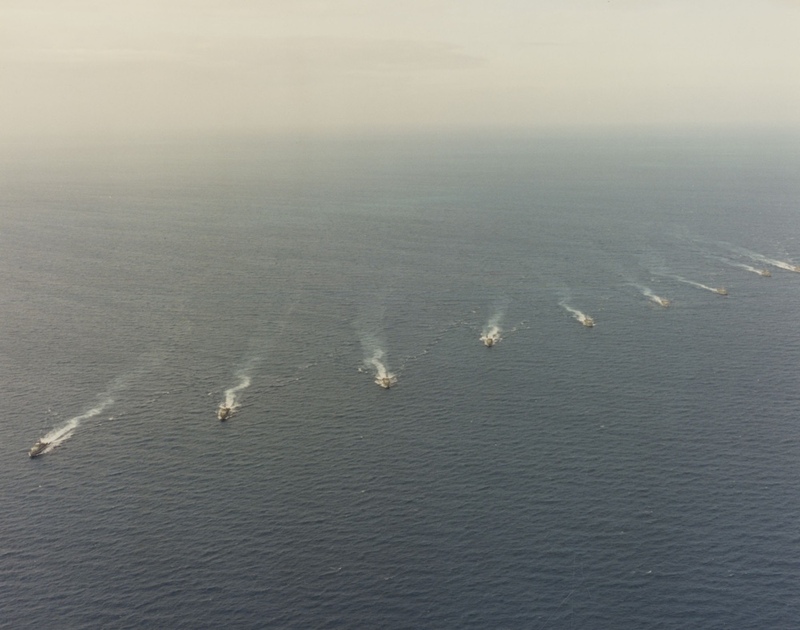 L-R: HMAS Wollongong (206), HMAS Townsville (205), HMAS Cessnock (210), HMAS Whyalla (208) and HMAS Bendigo (211). HMAS Townsville, HMAS Gawler and HMAS Geelong passing the Sydney Opera house in column. The FCPBs have primarily been concerned with maintaining Australian sovereignty and preventing illegal immigration, fishing and smuggling. They have often worked in close cooperation with external Government agencies including: the Department of Immigration, Australian Customs Service, Australian Fisheries Management Authority, and the various National Parks and Wildlife Services. Navy patrol boat boarding parties have at times encountered obstruction and hostility from illegal fishermen and people smugglers. Attempts to avoid the apprehension or administrative seizure of illegal vessels frequently challenged the limits of the jurisdiction of Australia's maritime zones. FCPB crews were often essentially engaged in a form of 'lawfare' in Australian waters. Although the primary focus of operations was off Australia's northern coast, during the 1980s regular patrols were also conducted in the restricted waters around the Bass Strait oil rigs by Melbourne and Sydney based boats, supported on an ad hoc basis by their northern based sister ships. In line with Government efforts to engage Australia's regional neighbours, the FCPBs have regularly deployed to the South West Pacific and South East Asia, fostering military and diplomatic relationships and furthering Australia's strategic interests. The boats have deployed as far afield as Thailand to the north, and the Cook and Marshall Islands to the east and north east. Fremantle class patrol boats conducting officer watch manoeuvres during a scheduled SQUADEX. Deployments often coincided with multinational exercises, including the STARDEX and STARFISH series in the South China Sea, or required the ship's companies to represent Australia on ceremonial occasions. For example, Cessnock and Ipswich visited Penang for the Royal Malaysian Navy International Fleet Review in 1990, and Whyalla and Wollongong were in Indonesia for the Republic's 50th Anniversary Fleet Review in 1995. Occasionally a FCPB has had the privilege of being the first Australian warship to visit a particular port. One of the more significant 'firsts' was the visit of Launceston and Dubbo to Cambodia in June 1996. FCPBs have also supported regional disaster relief operations. Locally, the FCPBs have participated in major tri-service exercises including the KANGAROO and KAKADU series, conducted search and rescue operations, provided security for visiting heads of state, and aided the civil community by supporting local events and festivals. 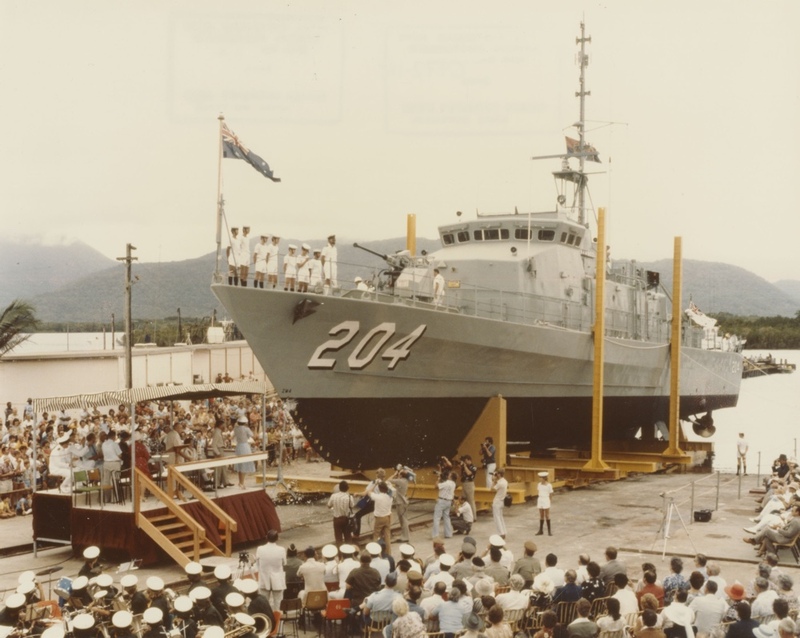 The class as a whole received high profile media exposure when the Australian Broadcasting Corporation televised the second season of Patrol Boat in 1983. Launceston, Townsville, Warrnambool, Whyalla and Wollongong were all seen masquerading as the fictitious HMAS Defiance. In addition to their routine operational surveillance tasks, the FCPBs have also been deployed on regional military operations. Cessnock, Dubbo, Townsville and Wollongong supported Operation MORRIS DANCE, in which a RAN task force was stationed off Fiji following the May 1987 coup. Bunbury, Dubbo, Geraldton and Gladstone were placed on station in the Timor Sea during the initial stages of Operation WARDEN in September 1999 to provide a military search and rescue capability in the Darwin-East Timor air corridor. The arrival of the MV Tampa off Christmas Island in August 2001 and subsequent incursions by Suspected Illegal Entry Vessels saw the Government implement Operation RELEX, an unprecedented whole-of government effort to deter unauthorised arrivals attempting to enter through Australia's northern maritime boundary. To cope with this, the RAN permanently redeployed the Sydney and Stirling based patrol boats to Darwin. The increased operational tempo in 2001-02 saw the patrol boats provide 2103 days in support of the Civil Surveillance Program, significantly higher than the performance target of 1800 days. Operationally the pinnacle for the Fremantle class occurred in 2003-04 with their collective contribution to Operation ANODE, the Australian Defence Force contribution to Operation HELPEM FREN, the Australian led Regional Assistance Mission to the Solomon Islands. Patrol boats often operated in close company with other vessels and maintaining manoeuvring and seamanship skills was an important aspect of a well worked-up boat. Whyalla deployed with the initial task group in July 2003 and remained on station until early September 2003. She was followed by seven of her sister ships: Ipswich, Wollongong, Gladstone, Cessnock, Geraldton, Geelong, and Fremantle. Fremantle had the honour of being the last Australian ship committed to Operation ANODE. Her departure in October 2004 drew to a close the RAN's 15 month presence in the troubled island state. Incidents such as the grounding of HMAS Wollongong at Gabo Island in June 1985, and the structural damage to HMAS Gawler, caused by the failure of the Darwin Naval Base synchrolift in November 1997, attracted media attention. However, these events stand out as the only major problems in sustained operations since 1980. Despite their ageing hulls and systems, the boats have proven themselves to be highly reliable platforms and have experienced few major difficulties, which is a credit to their design and construction, and to the dedicated men and women who have served in and maintained them. During their operational lives, the FCPBs provided invaluable training and experience to the RAN's future leaders. Patrol boat operations provided independent operational and command experience early in officers' and sailors' careers, in a complicated environment in which real time decisions had immediate and real consequences. For a time during the late 1980s and early 1990s, Fremantle and Warrnambool also served as reserve training vessels, manned by a cadre crew of permanent naval personnel supplemented by members of the RAN Reserve. Plans to replace the FCPBs were first given consideration in the early 1990s as the oldest boats approached their designed hull life of 15 years. The intent was to acquire a substantially larger and more capable Offshore Patrol Combatant (OPC), however, without international support that program became unaffordable. The decision was made to modernise the Fremantles and extend their hull life to 19 years. A request for tender to replace the Fremantles was finally released in 2001, and tenders were evaluated during 2002-03. A contract worth A$553m was signed on 17 December 2003 with Defence Maritime Services to supply and support twelve 56 metre Armidale class patrol boats, to be built by Austal Ships in Western Australia. Two additional vessels have since been ordered to support the newly established Joint Offshore Protection Command. 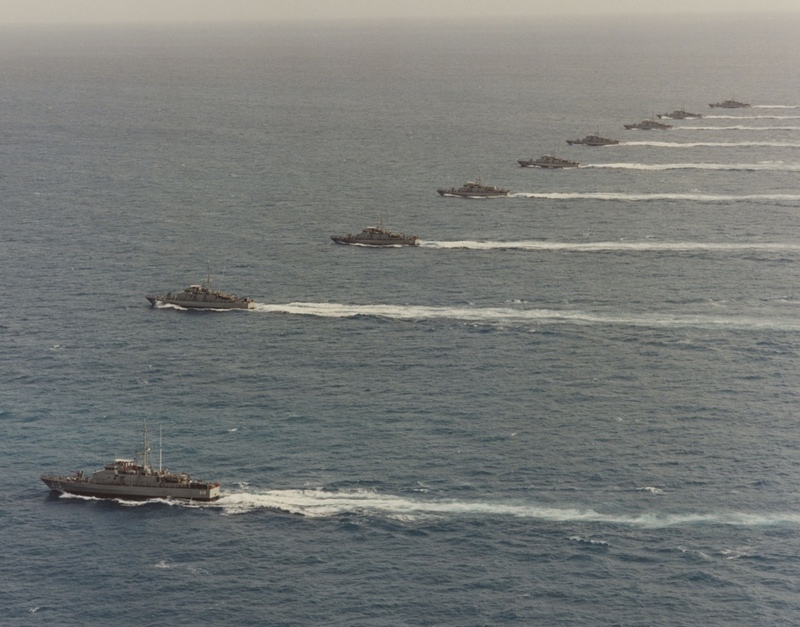 Patrols boats formed on a line of bearing during manoeuvres in northern Australian waters. 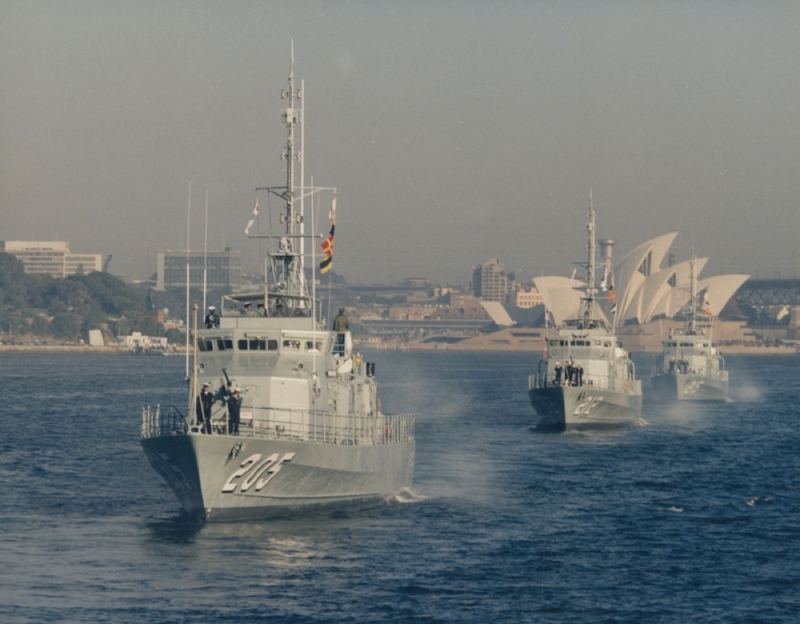 For a quarter of a century the 15 strong fleet of Fremantle class patrol boats has been the cornerstone of Australian maritime surveillance, interdiction and border protection operations, undertaking tasks and voyages never envisaged when they were first acquired. The eventual decommissioning of Gladstone in February 2007 will no doubt be tinged with some sadness as it draws the final curtain down upon the Fremantle era. ↑ Navy Project Brief 31, Ten Patrol Boats, September 1970. ↑ F Cranston, 'Unaccepted boat saves man', Canberra Times, 6 November 1979. ↑ Navy, 'The Navy Contribution to Australian Maritime Operations (RAN Doctrine 2)', Defence Publishing Service, Canberra 2005, p.133. ↑ Defence Annual Report 2001-02, Commonwealth of Australia, 2002. ↑ See 'The Royal Australian Navy and the Restoration of Stability in the Solomon Islands', Semaphore, No. 13, August 2005.